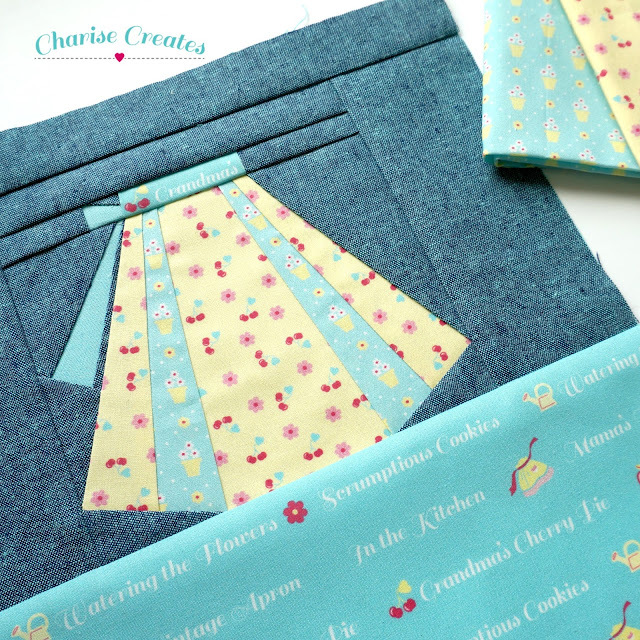 Charise Creates: Having fun sewing blocks from "Super cute paper piecing"
Having fun sewing blocks from "Super cute paper piecing"
I cannot believe it is already June and Summer is almost upon us! The weather has been beautiful if the Pacific Northwest and I have been out in the yard every chance I get. My kids are out of school at the end of June so I have also been trying to sew as much as possible before summer break. 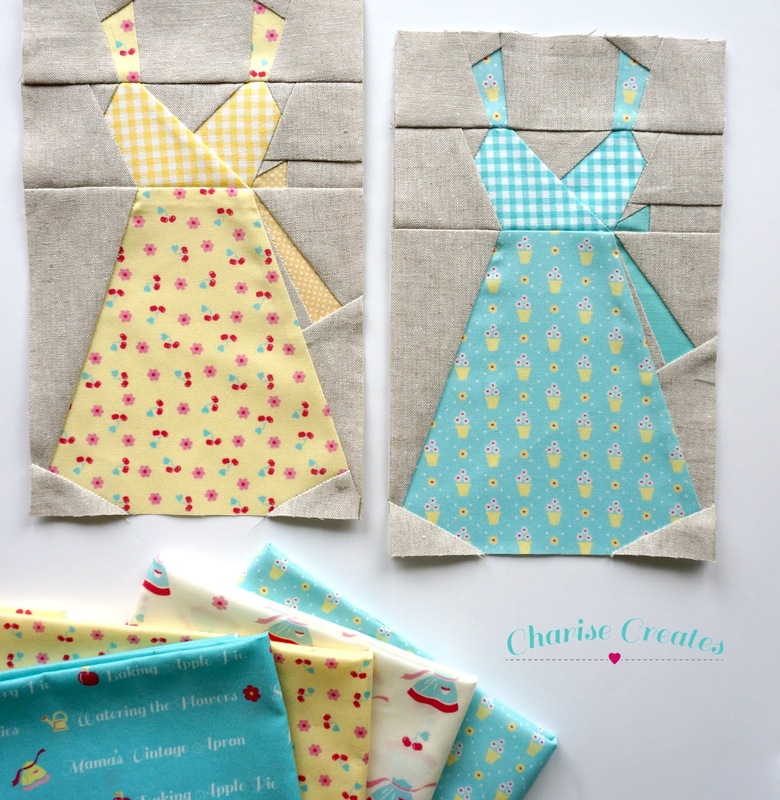 I have been making blocks from my book Super Cute Paper Piecing. They are so incredibly versatile and can be used in all kinds of sewing projects. 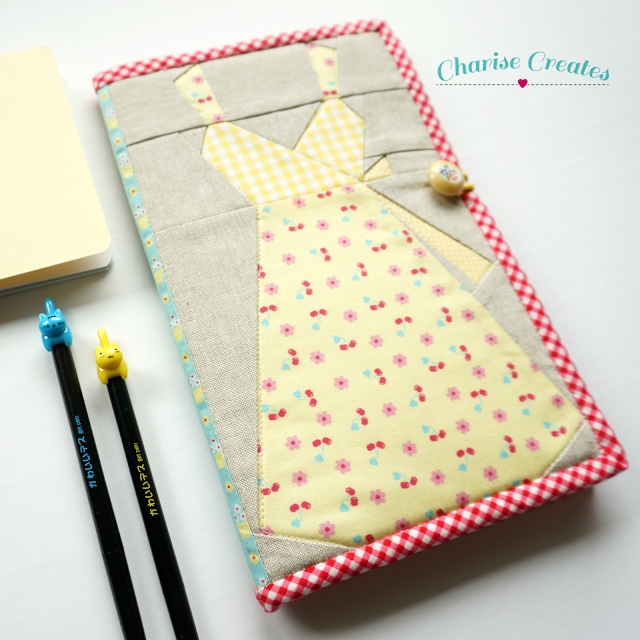 The sketch book shown uses my dress block from the book. It was the perfect size for the front of this adorable sketch book. 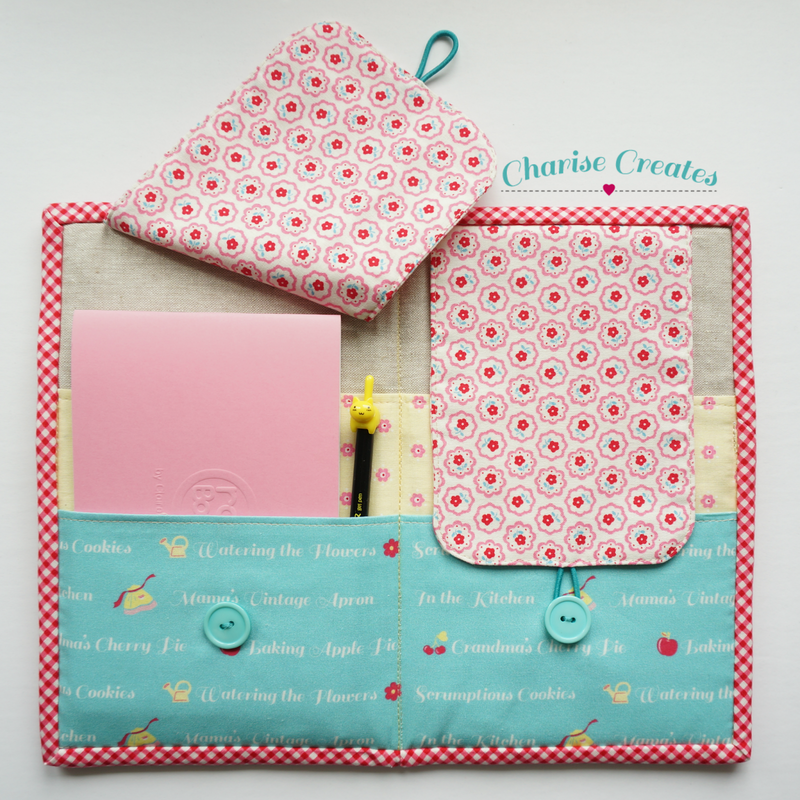 The sketch book pattern is from Quilts and More's Summer issue and was designed by Heidi of Fabric Mutt.. I adore the pattern! 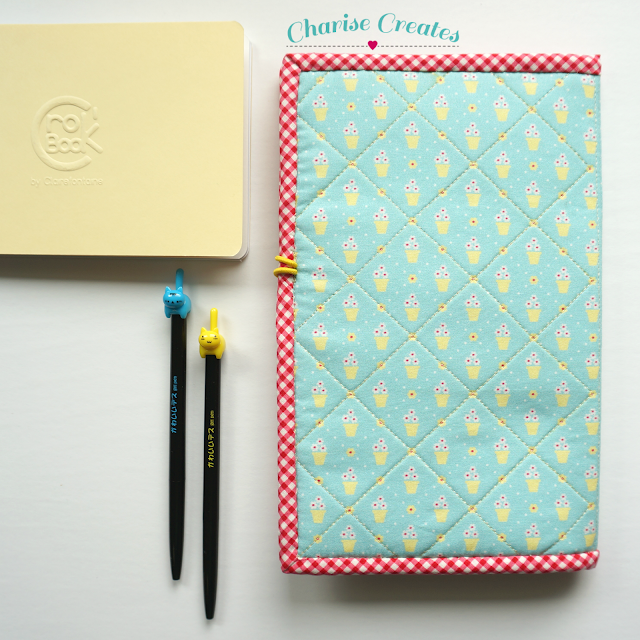 It has pockets on the inside to hold a sketch book, pens and pencils. Don't you just love those kitten pens? I found them at my local book store and couldn't resist them! 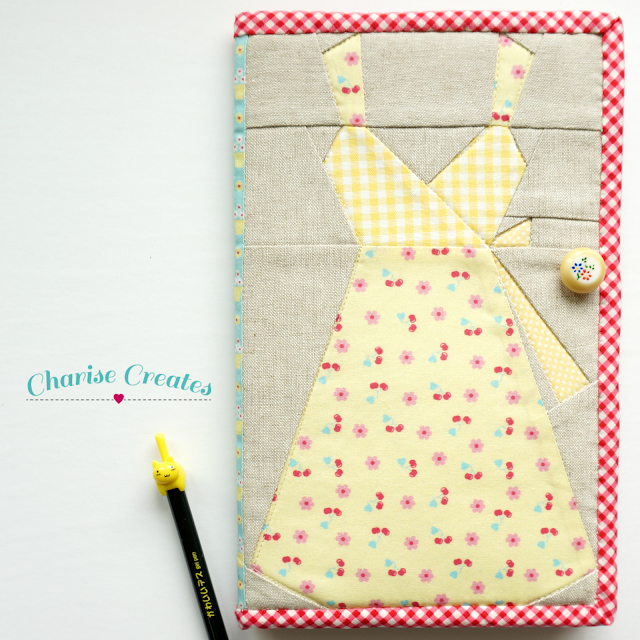 I made another apron block from by book and I love how it turned out! The background fabric is a new color Essex linen from Robert Kaufmann fabrics called Nautical. 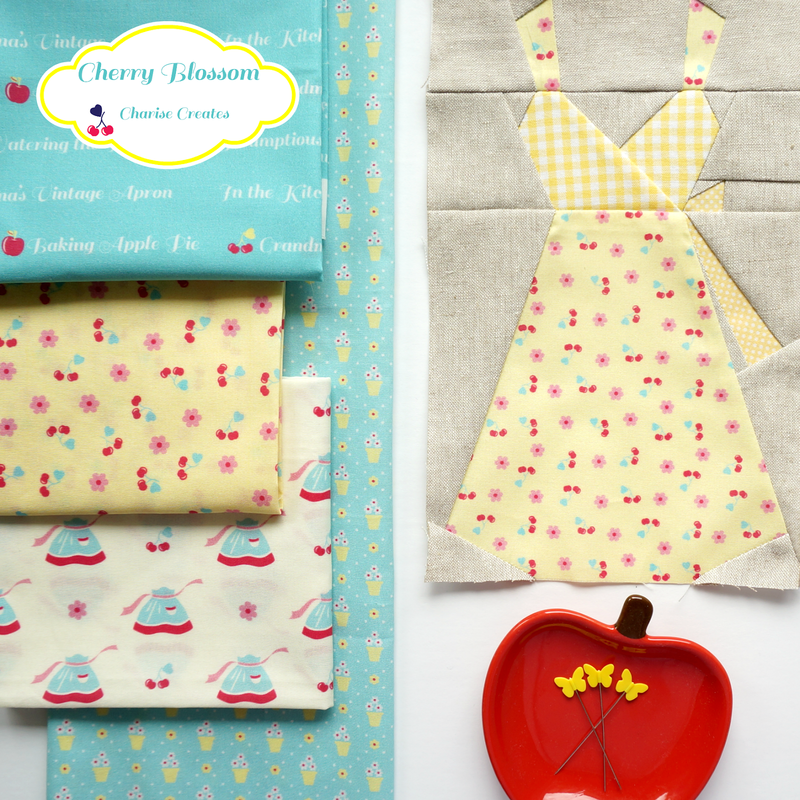 The fabrics in the dress and apron blocks designed by me and I am calling the fabric line "Cherry Blossom". I plan on having them available in my Etsy shop and at my Spoonflower shop very soon.